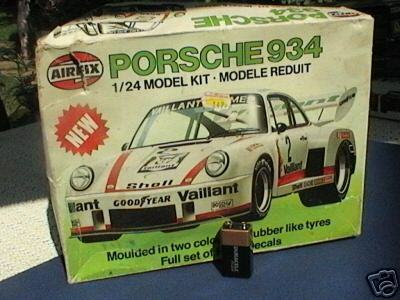 The thoroughbred Porshe 934/5 racing car makes a fitting subject for inclusion in this range of precision-molded construction kits. Full interior detail is matched by the sleek outside shape made more exciting with a set of colourful transfers. The front wheels are steerable and have rubber-like tyres for greater realism.